Statistics show that cancer has a financial impact on many individuals that are stricken with this disease and it is most disheartening. It has been shown that those roughly one third of cancer survivors that are still within the working age have had to go into debt. It has also been shown by a recent study that 3% of these individuals have to file for bankruptcy. 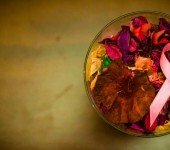 “Multiple studies have shown that cancer patients and survivors are at risk for facing treatment-related financial burden, with a small minority at risk for extreme burden in the form of personal bankruptcy,” said Dr. Yousuf Zafar of Duke Cancer Institute in Durham, who didn’t take part in this particular study. Cancer is a debilitating disease that often prevents people from having the chance to continue with a normal lifestyle while they are going through their battle with this ailment. Most often it means because of their cancer therapy they are not able to work at their full-time jobs. On top of this, there is the cost for cancer care which has been shown to have increased 2 to 3 times faster compared to other types of health related expenses. It has been shown that cancer therapy can cost between $10,000 and $60,000 a month for an individual that is fighting this illness. This tremendous price tag has the potential to cause financial calamity for even those who have good health insurance. Individuals that find themselves in the tremendously difficult situation of battling cancer and their medical debt as well as other debts are mounting up, may find that going bankrupt would be the best solution for them. Once they have come through this battle and are now a survivor they deserve a fresh start financially without the added stress of all the extra costs that have been incurred. If you’re a cancer survivor and experiencing financial hardships due to medical bills, you should seek out a qualified bankruptcy attorney to assist you with the best course of action when it comes to filing for this form of debt relief.